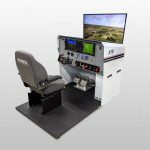 Frasca builds a complete range of flight training equipment for Bell Helicopters including the Bell 206, 407, 407 GX, 412, 429, TH-67, and UH-1H. 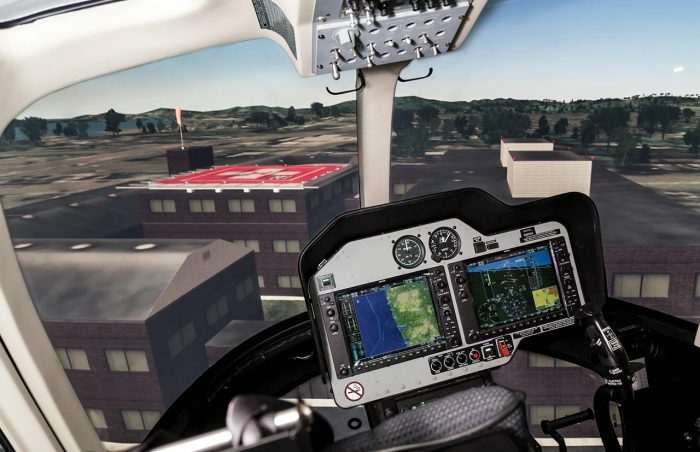 Products range from Flight Training Devices to Full Flight Simulators. 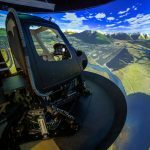 Customers using Frasca simulators for Bell Helicopter Training include; the Bell Helicopter Customer Training Academy, Air Evac, Horizon International Flight Academy, Metro, the Japanese Coast Guard, and others. Frasca built the first FFS for the Bell 407 GX helicopter. 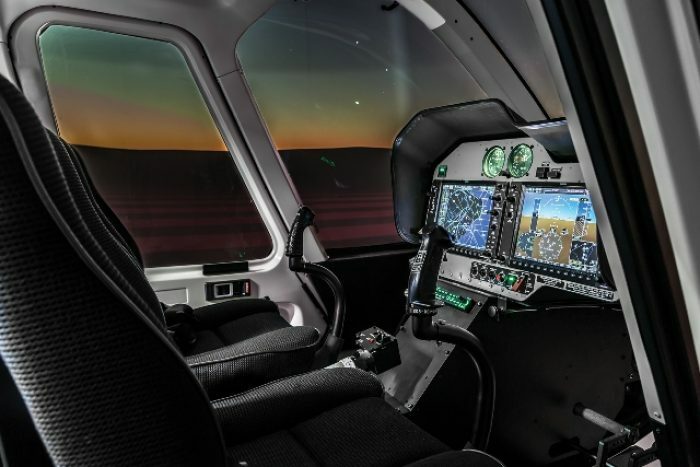 Features include Frasca’s TruVision™ Global visual system with NVG (night vision goggle) capability, a six axis motion system with 62” actuators and a secondary six axis vibration system (Frasca’s Motion Cueing System). The FFS received U.S. FAA Level B, European EASA Level B and EASA Level 3 FTD approval. 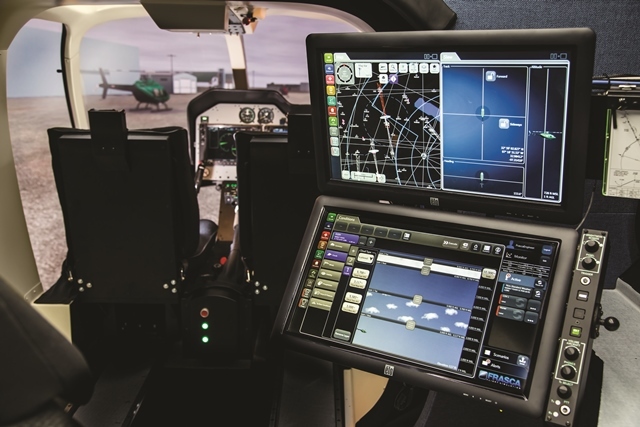 The simulator is convertible between the legacy configuration and the latest GX Garmin G1000 configuration. This conversion is accomplished by exchanging panel assemblies and allows customers to train on their specific aircraft configuration. 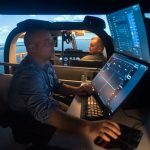 Frasca’s Motion Cueing System is the simulation industry’s first six axis vibration system integrated with a full size motion system. This allows for very accurate vibration of the cockpit along all axes and isolates the vibration from the instructor’s station, reducing instructor fatigue. 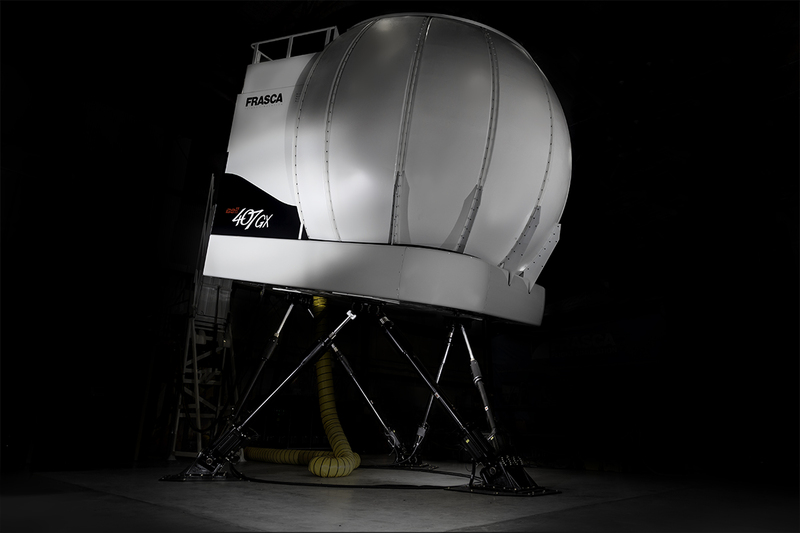 The simulator is equipped with Frasca’s TruVision™ visual system with a 200° x 80° field of view and independent stimulation of NVG through infrared projectors. 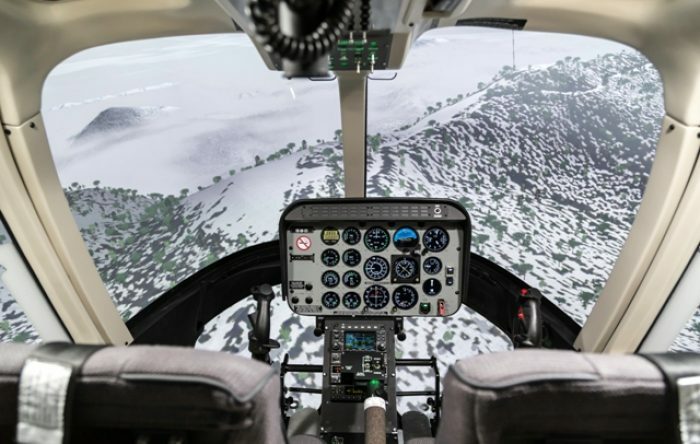 This wide field of view allows for visual training maneuvers including off airport mission training scenarios.